In the Baroque period, most composers and music theorists relied heavily on the principles of rhetoric – from the architecture of a whole speech to a single rhetorical flourish – to craft and describe musical structures. Yet the understanding of music in rhetorical terms was already well established in the late Renaissance. 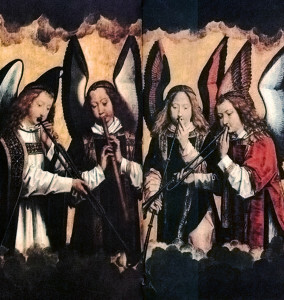 Convivium explores the rhetorical in music from either side of the (largely arbitrary) Renaissance-Baroque divide, with works by Lassus, Schein, Padilla, and more. Saturday, January 30, 2016 7 PM –> Reception to follow; all are invited! -> This performance included a collaboration with dancers from the Cambridge Dance Company, led by Lauren Pajer. The Regensburg Manuscript, a collection of six partbooks, is a significant collection of late-16th-century polyphony. 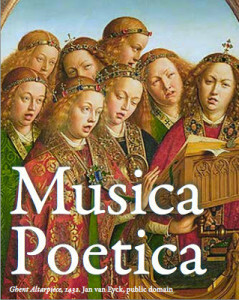 Although the manuscript contains vocal music, it was copied out for an ensemble of wind players, and is unique among sources of the period in containing specific instrumentation for around half of its 120 compositions. Convivium is delighted to collaborate with the 7 Hills Renaissance Wind Band in performances of works by Striggo, Monte, Utendal, and many more. Saturday, May 14, 2016 8 PM Reception to follow–all are invited! Saturday, May 21, 2016 8 PM Reception to follow–all are invited!